Obviously trees don't grow to perfect round heights :) We typically measure from the base of the tree (the point at which we cut the trunk) to around halfway up the "leader", but there is some variance in this depending on the leader length. The leader is the bit you put the star (or fairy!) on, so the bit between the top branches and the top of the tree. Bear in mind that your tree could be a bit bigger than the stated height (sometimes up to a foot). You can always cut a bit off the top of the leader, though. 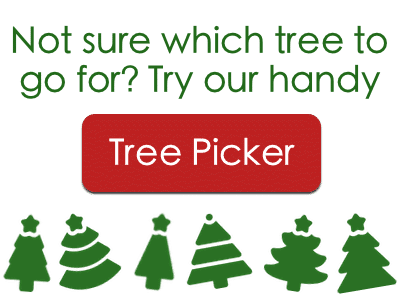 Your tree will be at least as tall the stated height. 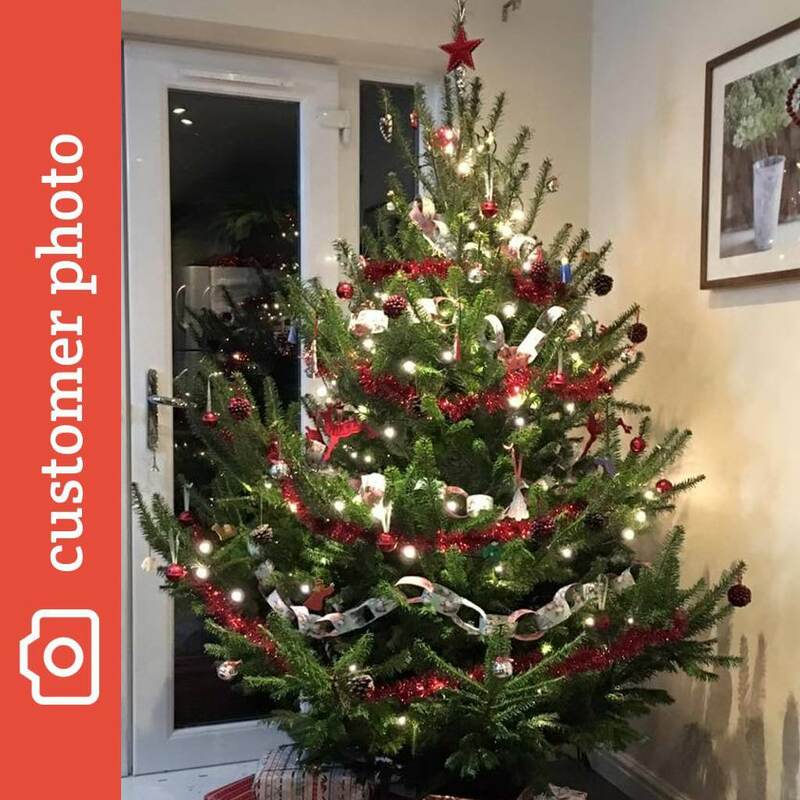 If you're putting your tree in any sort of stand, that will add some height to the tree, so don't forget to factor it in to the overall measurement! If you need a stand, we sell them here. Bear in mind that the taller your tree, the wider it will be at the base. 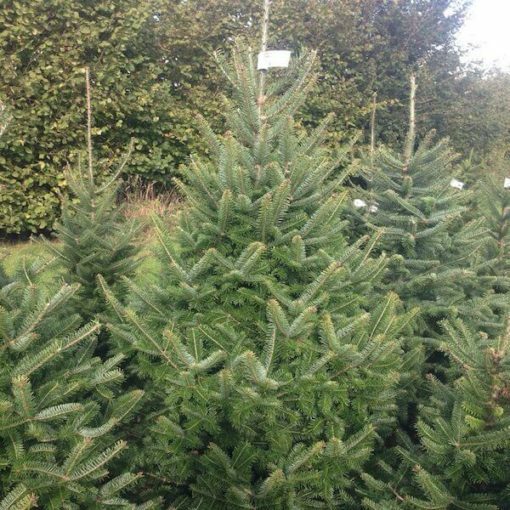 Nordman Firs and Norway Spruces in particular get quite big and bushy as they get taller, so make sure you've got space! 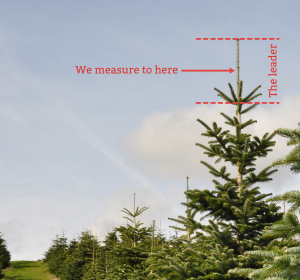 Remember, there's variance in that height - your tree will be at least as tall as in the above table, but likely a little taller. BACK FOR 2018! 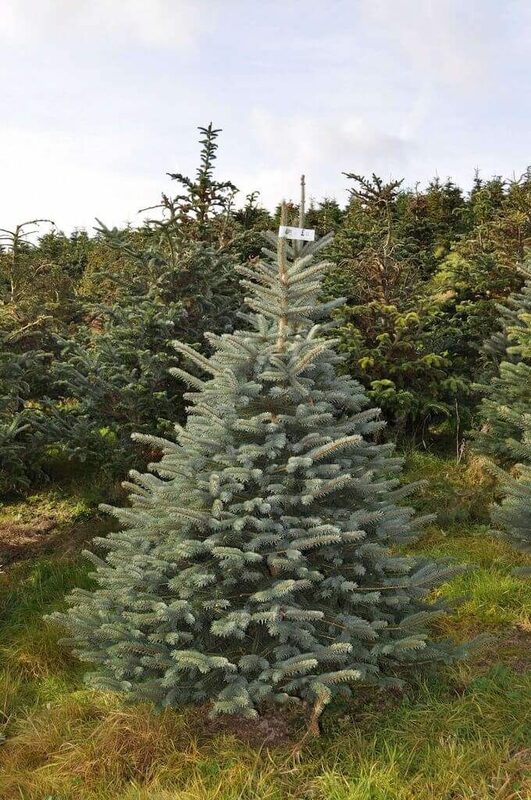 Farmer Tom’s Sussex Fir (otherwise known as the Canaan Fir) is a variety of Balsam Fir originating from, and found principally in, Canada but now growing here in Sussex. 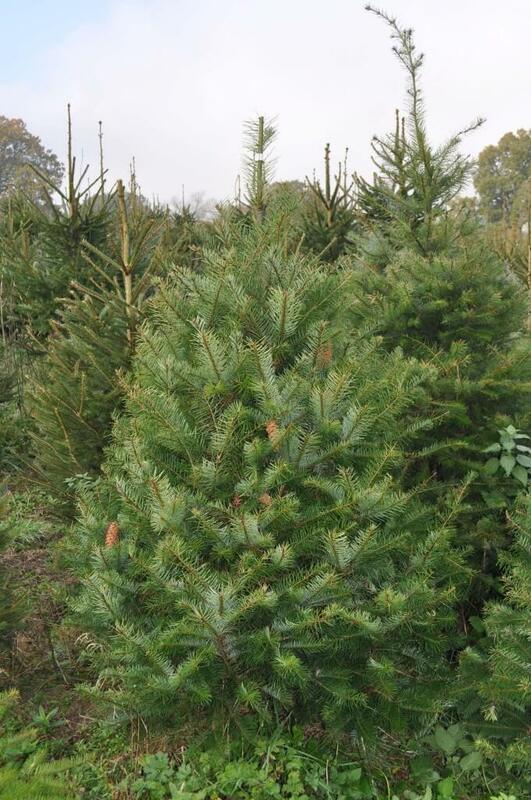 Some consider it to be a hybrid of the true Balsam Fir and the Fraser Fir – and it exhibits traits of both trees. It has a great orangey scent (similar to the Fraser) and good needle retention, and is very popular over in the US. Uncommon on these shores, you won’t find it at many UK outlets. Loved this tree! Great shape and scent. The perfect Christmas tree. Returning third time this year. A stunning tree, beautifully shaped and smells heavenly. The aroma catches you as soon as you enter the house. Looked a little sparse initially but once the branches dropped it was perfectly formed. 6 foot is the perfect size for my 12′ by 13′ livingroom. Quite possibly the loveliest tree I’ve had to date. Awesome shape and divine smell from this stunning tree! Really happy with the service and quality! 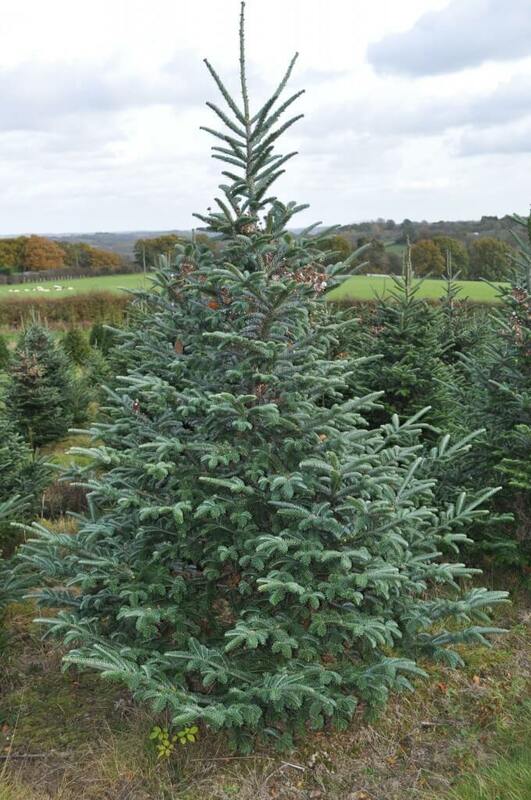 Third year I have ordered a tree, first time I’ve ordered this type and best yet. Beautiful shape with soft branches. Best thing is that the tree has been up for a week and it has hardly dropped. Would definitely recommend and I will be buying again. Thank you. Beautiful deep green colour. Delighted with the tree and the service. 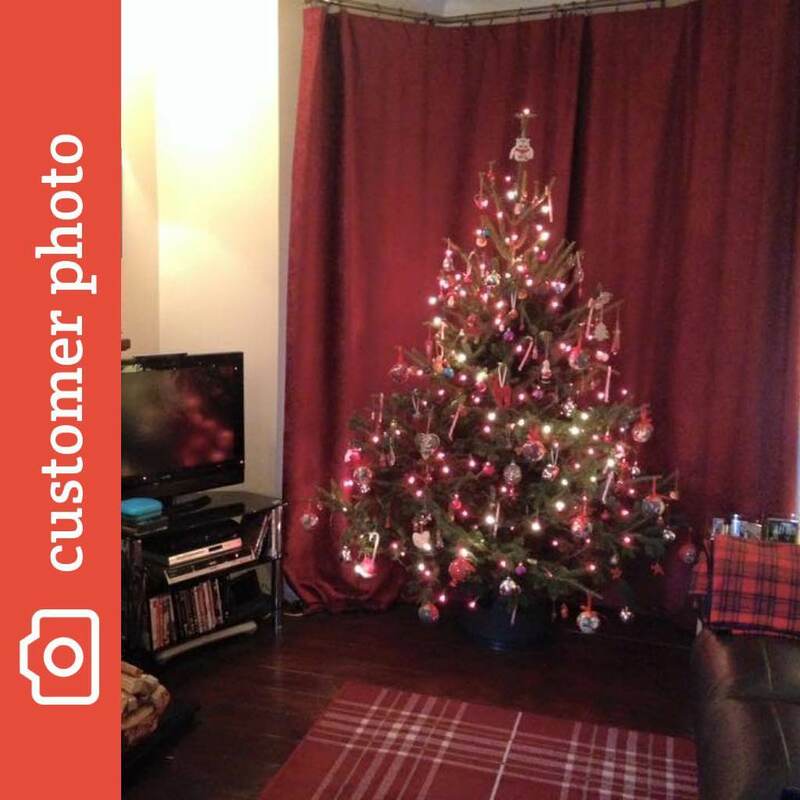 We would just like to say a big thank you for our Norway Spruce. Super shape and bushy to the top of it’s 7 ft height. Will definitely be placing an order in time for next Christmas.